IF I REGISTER TO SUBMIT ONE WORK, BUT CHANGE MY MIND AND WANT TO SUBMIT UP TO SIX, CAN I DO THIS? Yes. The online application portal will allow you to increase the number of work you wish to submit before the deadline at 5pm on 27 August 2019. IF I REGISTER TO SUBMIT SIX WORKS, BUT CHANGE MY MIND AND WANT TO SUBMIT LESS THAN THIS, WILL I GET A REFUND? No. If you register more works than you eventually submit, unfortunately no refunds will be offered. WHAT IS THE MAXIMUM SIZE WORK I CAN SUBMIT? The maximum size work accepted for submission is 50cm in the largest dimension, including frame. IS THE ING DISCERNING EYE RESTRICTED TO WORKS ON PAPER ONLY? No. We do not specify what media work should be made in. WILL MY WORK BE INSURED DURING THE SELECTION PROCESS? No. Artists are advised to take out their own insurance. WHY DOES MY WORK HAVE TO BE FRAMED? The conditions of entry state that work should be framed. This is a standard measure to ensure that the delicate surfaces of the submitted artwork are protected in the normal course of handling and display. ii) the artist accepts that if they enter work outside of the Rules & Guidelines, it is entered at their own risk. The Discerning Eye will not accept any liability for any loss or damage that may occur in the normal course of handling. iii) if selected for exhibition, artists may be required to provide suitable packaging for their work while in storage and during transportation throughout the exhibition and tour, or to provide a frame or other means of presentation as recommended by the organisers. iv) works that cannot be mirror plated must be accompanied by full hanging instructions and if selected for exhibition the artist may be required to supply suitable fixings. v) the artist accepts that all work is uninsured during the selection process. All works on paper must be securely framed. Frames should be strong enough to accept a small screw or nail in the back for hanging purposes. Fixings are not required, if selected for exhibition mirror plates will be supplied and used by the organisers. There should be no projections of any kind whatsoever from the back of the frames to avoid damage to other works. Metal frames, glazed works with unprotected glass edges and non-reflective glass are all inadmissible. Frames and mounts of unusual colour, size or design may prejudice the selectors’ judgement. WHY DO I HAVE TO REMOVE MIRROR PLATES, PICTURE WIRE AND D-RINGS FROM MY FRAME? All metal projections can damage other work whilst in storage, and we require that you remove them as a matter of respect for other people’s work. I AM BRITISH BUT I CURRENTLY LIVE OUTSIDE THE UK, CAN I STILL ENTER? The ING Discerning Eye Exhibition is open to artists resident in the UK only. I AM UNABLE TO COMPLETE PRE-REGISTRATION ONLINE, HOW DO I ENTER? We are using an online registration process to reduce our paper usage and streamline the application process. If you are unable to register online, you can still apply in person, however charges will differ to pre-registration fees. Submission points can be found on the Downloads/Links page. WHEN AND WHERE DO I SUBMIT MY WORK? Please see the Collection Timetable PDF in the Downloads/Links section of this website. Please note that Collection Points will only receive your work on the dates and times specified. For instructions and information on submission of work please refer to the ‘Submission of Work’ section on the GENERAL INFO section on the website. Please note that all Submission dates and times may be subject to change. For the return of unselected works, please contact the carriers directly for information and charges. WHEN WILL I KNOW IF MY WORK HAS BEEN ACCEPTED OR NOT? Only Pre-registered artists will be informed by email of the Selection Panel’s decision by Thursday 12 September 2019. The email will be from: de@parkerharris.co.uk. Subsequently, the names of those artists selected for exhibition will appear in the Downloads/Links section of this website around this time. If your name and number does not appear on the list, your work has not been selected and will need to be collected. IF MY WORK IS NOT ACCEPTED, WILL IT BE WRAPPED FOR COLLECTION? No. Works will not be wrapped for collection following the selection process, unless specific travel frames or cases are provided. DO I HAVE TO DO ANYTHING IF MY WORK IS SELECTED? If your work is selected you will be asked to provide and confirm further information for inclusion in the catalogue. This will include a written statement about the work(s) included in the exhibition of 300 words along with a brief biography of and 200 words for press purposes. I AM A MEMBER OF DISCERNING EYE, DO I NEED TO PRE-REGISTER? No, you don’t have to pre-register, however we would encourage artists to do so as it will make your submission easier and speed up the time at the submission points. To pre-register, please can you email de@parkerharris.co.uk or telephone the office on 020 3653 0896. You cannot register online. Please note that as a Member you will not be charged to enter your works, however you will still be liable for the transport fees (£8 per work) submitted to a regional Collection Point. If you would prefer not to register online beforehand, or if you have not registered the maximum number of works and would like to add more, you may still hand in your works to your selected Submission Point without being pre-registered and pay any transport fees either by cheque or cash. HOW DO I BECOME A MEMBER OF DISCERNING EYE? If my work does not sell during the exhibition when can I collect it? Should your work(s) sell at the exhibition, we will notify you straight away and payment will be made after the exhibition closes. 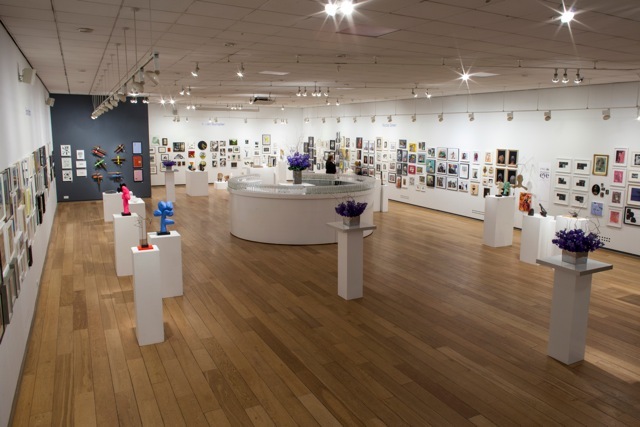 All unsold works will be available for collection from the rear of the Mall Galleries on Friday 29 November and Saturday 30 December between 10am – 4.30pm. After this date, all works that remain uncollected will be removed from the Mall Galleries and taken into storage and will be liable for storage charges. 122 queries in 0.343 seconds.